Spoiled by cupcakes, cakes, and cookies? Yes my dogs have me as their own private baker. Why shouldn't dogs have something special on their birthdays like we do. After all they are part of the family. Each year for Maggie and Bruce's birthday I either bake them a cake or as I've done this year made them cupcakes. Everything I use in my dog recipes are dog friendly and for dogs with allergies to wheat. These cupcakes can be decorated if you choose to do so. You can either make a peanut butter carob frosting or perhaps just a carob frosting. In a medium size mixing bowl combine and mix all the ingredients starting with mushing the bananas, and mixing with the egg. Then one by one add and mix each ingredient as I have it listed above. Place your baking cups into a muffin pan. You will need 9 all together. With a 1/4 cup measure, measure and add the batter to each baking cup. Place in the oven for approximately 17 minutes or until you can insert a toothpick into the cupcake and have it come out clean. Am I invited to the birthday party? I'd like to try these cupcakes. Your dogs are blessed (as they deserve to be). They hit the jackpot when they came to be a part of your family. Happy everything to all of you as you celebrate life. Diana, You're invited anytime you want to come. I'd love to have you here. I hope that you get another dog soon as I'm sure you miss having a dog. Whenever I bake for my dogs I save some for friends and families dogs. These look so delicious, I wish my sweet Aspen was still here to try one or two, in fact, they look good enough for a human to eat:-) I will one day have another dog to spoil, the time is getting closer. So sorry that you no longer have Aspen. I wish dogs could live as long as we do. No doubt about it, dogs are family! I'm thinking being the birthday dog in your house about now would be a real treat! Wow! I think I can eat this too, can I? Are there substitutes for flax seeds and zucchini that my dog can also eat? Thanks. Shared in fb for later use. Thelma, Yes these are safe for human consumption :) My dogs love the zucchini but if your dog doesn't you could substitute it with grated carrots. If you don't want to use the flax seeds I suppose you could omit them, however I've never tried. +Thelma Alberts beat me to my comment...these might be a little sweeter than the dogs would prefer and less sweet than the humans would, but they're shareable! 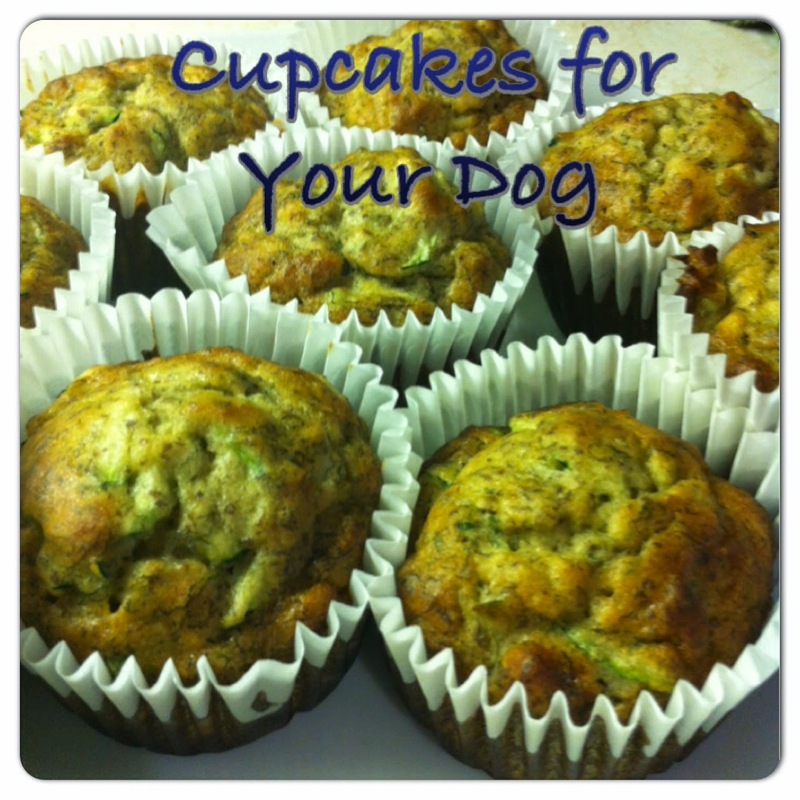 Will have to give these a try now that I know how much my pooch loves homemade baked goods! Please let me kbnow what your dogs think Peg. I've never baked for my dogs. I must give these a try! I love this recipe and know my dogs would really enjoy the cupcake treats.